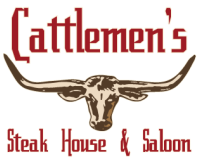 Cattlemen's Steak House & Saloon - Greeley's Best Steakhouse! Welcome to Cattlemen's Steak House & Saloon. Cattlemen's is home to grand champion steers, and we are famous for our premium cuts of Angus beef! Join us for dinner Sunday through Thursday from 4 pm - 9 pm and Friday and Saturday from 4 pm to 10 pm.